Double Buckle Belt from Prettylittlething. Get a look-a-like Bag from Zalando or search in Second Hand Stores. 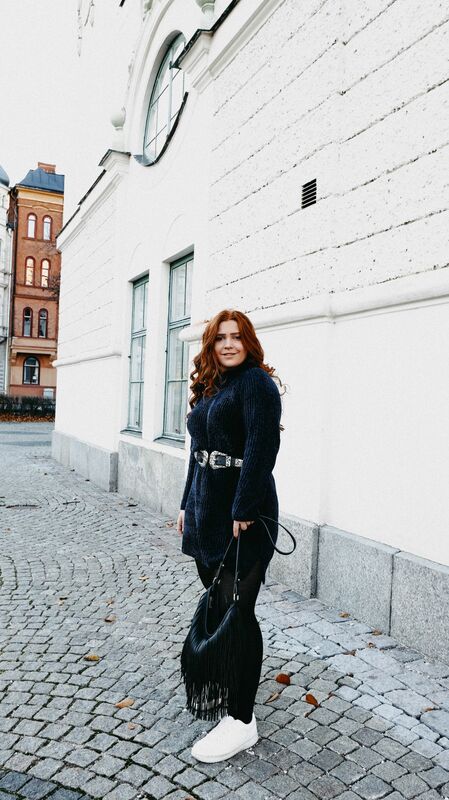 This blue knit dress has an incredibly warm, soft and beautiful yarn. The dress came in so many beautiful colors that it was hard ro pick one. Full look, grab your leggings and white sneakers to complete this comfy style. 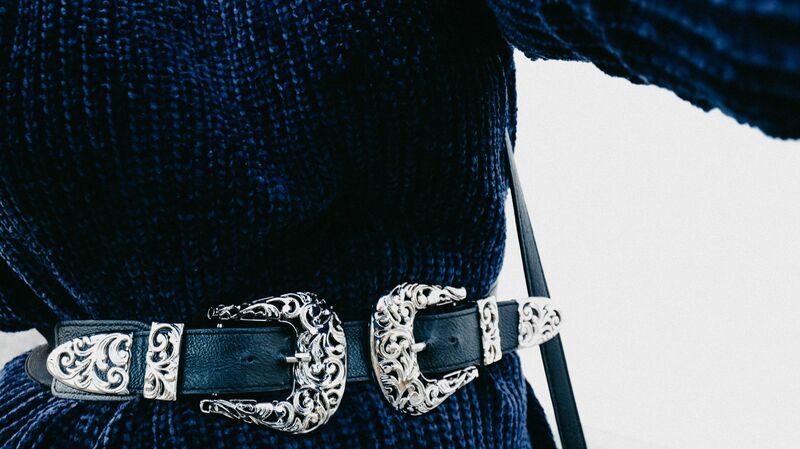 Details; My double buckle belt from Prettylittlething together with my blue knit dress.